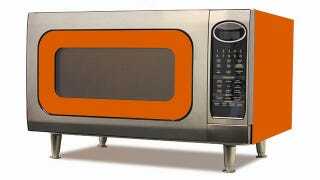 We don't need much out of our microwaves. Those leftovers will be soggy and rubbery regardless of how good it is. But its convenience is indisputable, and if it's going to take up space on the kitchen counter, it might as well look good. Enter Big Chill's Microwave Oven.